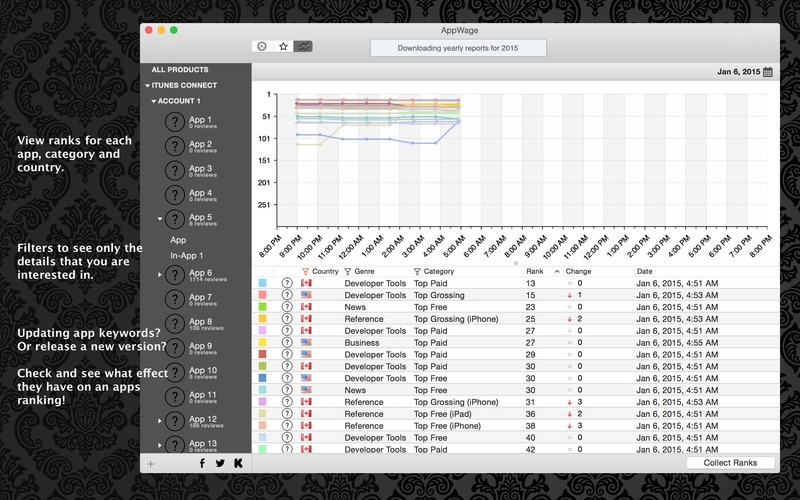 Sales, rank, and review tracking tool for iOS and OS X developers. Is there a better alternative to AppWage? 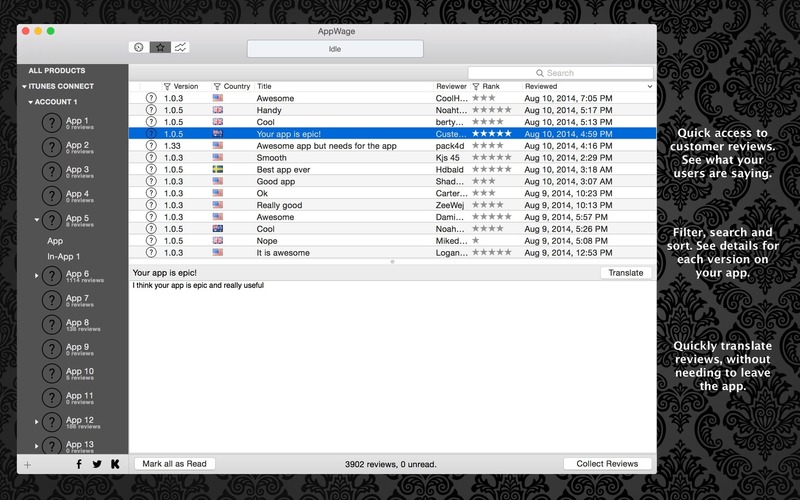 Is AppWage really the best app in Developer Tools category? Will AppWage work good on macOS 10.13.4? 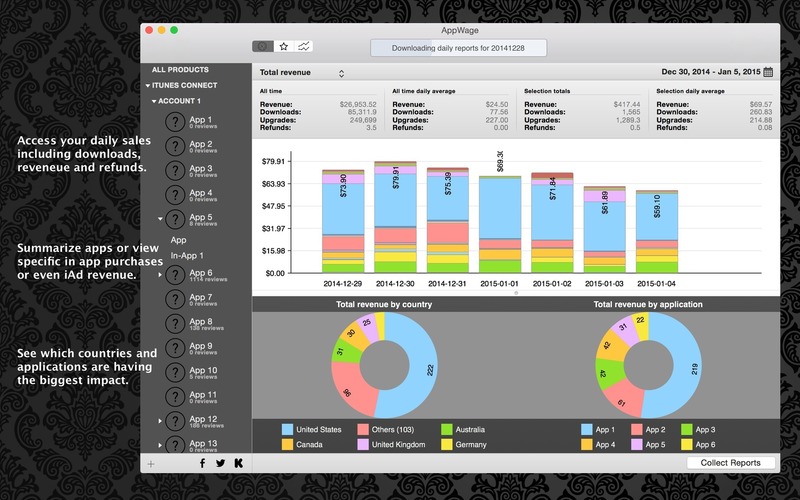 AppWage is the quickest way to track and analyze your iOS and Mac app sales. AppWage allows developers to either manually import their sales reports via a simple drag and drop, or automatic downloads (including option daily email summaries) of Revenue, Downloads, Updates and more. In addition to iTunes Connect details, AppWage also collects Ranks and Reviews for any app (even competition). AppWage needs a rating. Be the first to rate this app and get the discussion started!